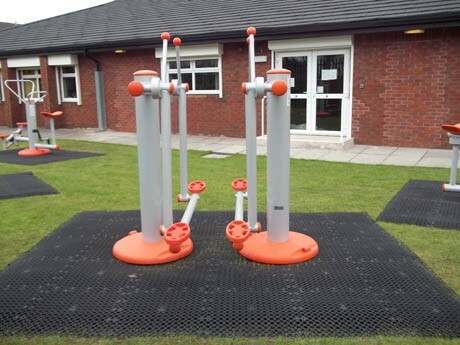 Kingsland School in Oldham is a Pupil Referral Unit for children aged 11 to 16, some of whom have a Special Educational Needs statement. 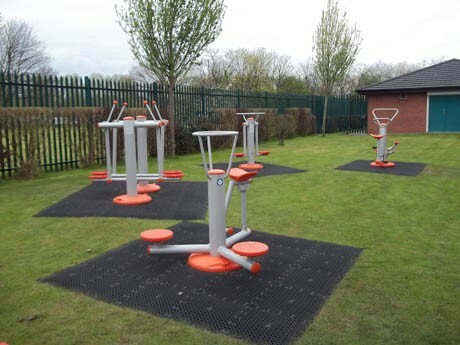 The School have been developing their physical educational facilities to include a new indoor exercise room with gym equipment and were looking to extend this facility to allow the children to exercise outdoors, in a safe and challenging environment. 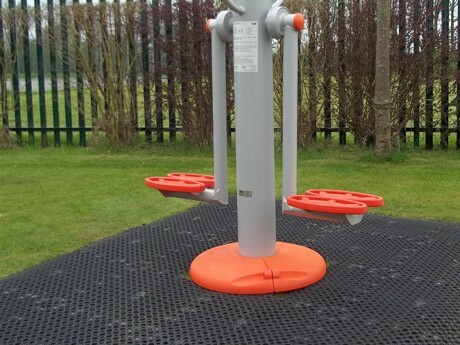 We have provided four pieces of fantastic Outdoor Fitness Equipment, carefully selected to provide a balanced range of physical activities. 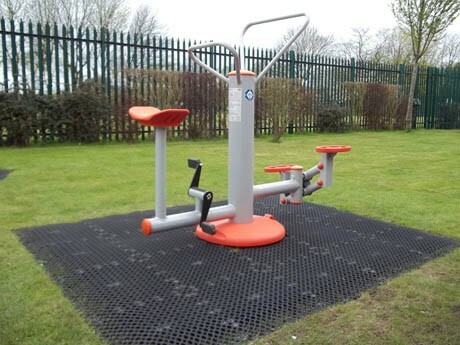 The equipment included the Bike and Stepper, the Double Hip Flexor, Double Nordic Skier and Triple Twister as well as wear pads of Grassmatt to prevent the grass from becoming muddy from excess wear. 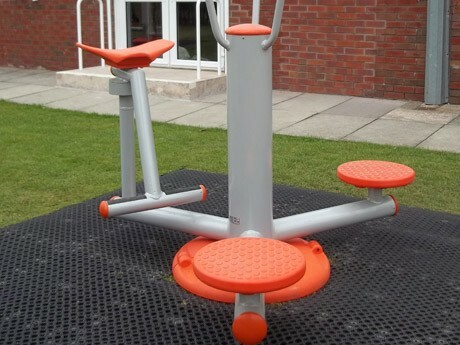 The kit has been fantastically received by pupils and staff alike. 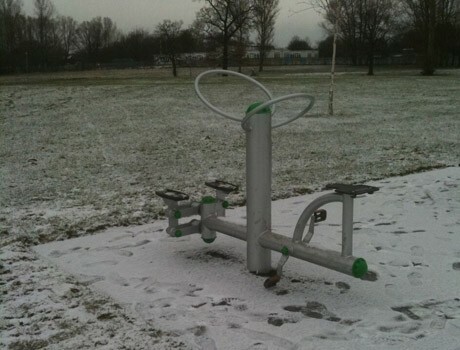 “The equipment we have received from Pennine Playgrounds is fantastic. 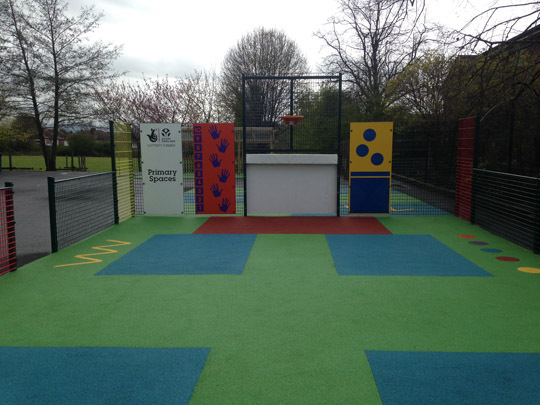 The ordering, design process and installation went extremely smoothly and our pupils love it. 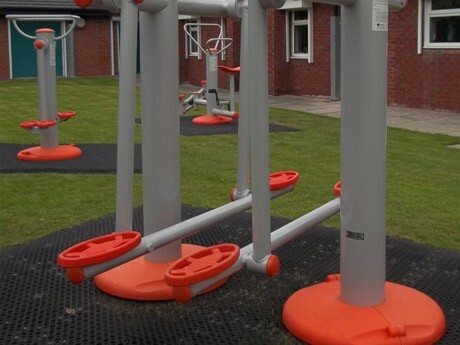 The stations look appealing and our pupils have benefitted by having additional activities to do at break times. 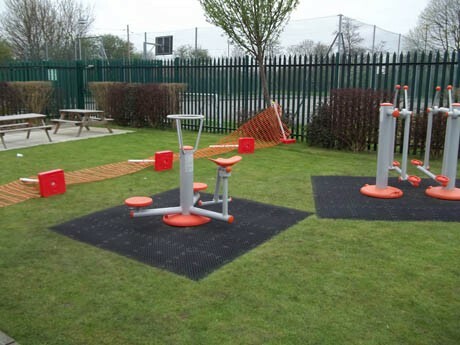 It has kept them engaged and entertained and they are used equally by boys, girls and staff! 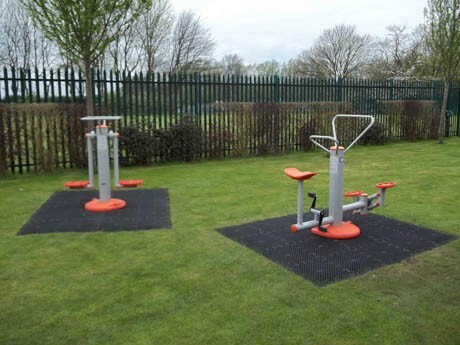 Given the nature of some of our pupils it has to be robust and hard wearing and that is exactly what it is. 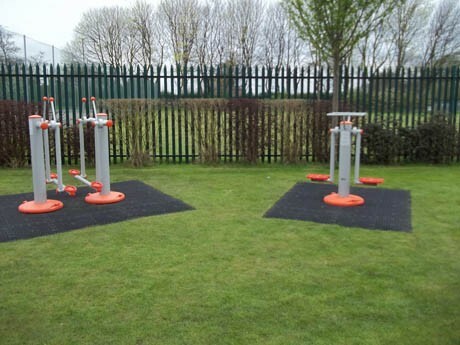 We are pleased to have this equipment to enhance the facilities, particularly those outdoors”.